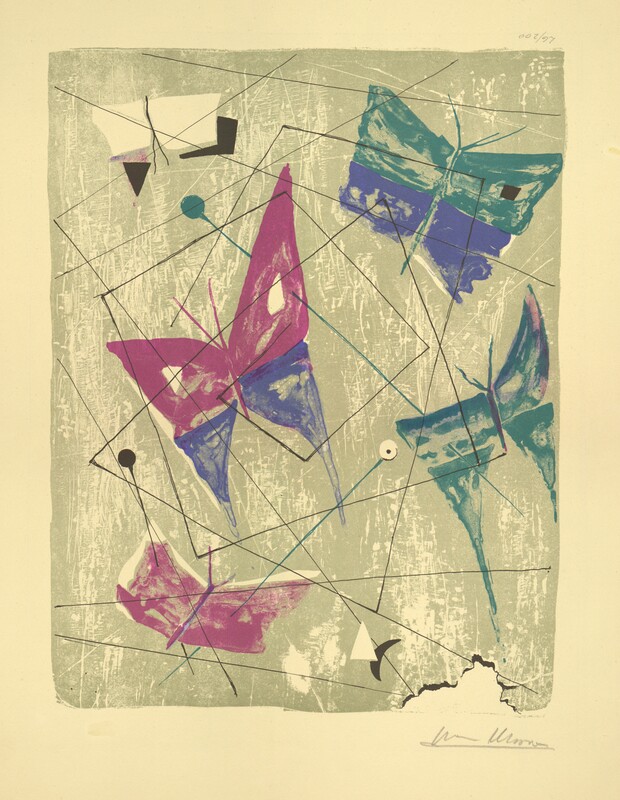 A color lithograph titled "Butterflies". 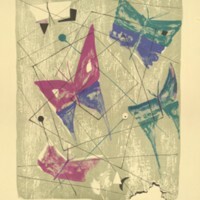 The piece depicts four butterflys against an abstract background. It is numbered 26/200. 15 1/8" x 19 1/2"
Mosca, Ivan, “Butterflies,” Digital Exhibits, accessed April 22, 2019, https://cuexhibits.wrlc.org/items/show/210.